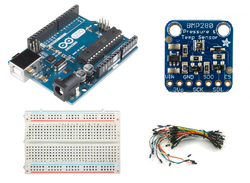 In this tutorial we will use the Adafruit BMP280 sensor. 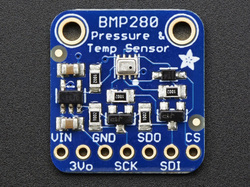 ​This sensor can measure barometric pressure and temperature with very good accuracy. Because pressure changes with altitude we can also use it as an altimeter with ±1 meter accuracy! Accuracy for barometric pressure is ±1 hPa and ±1.0°C for temperature. 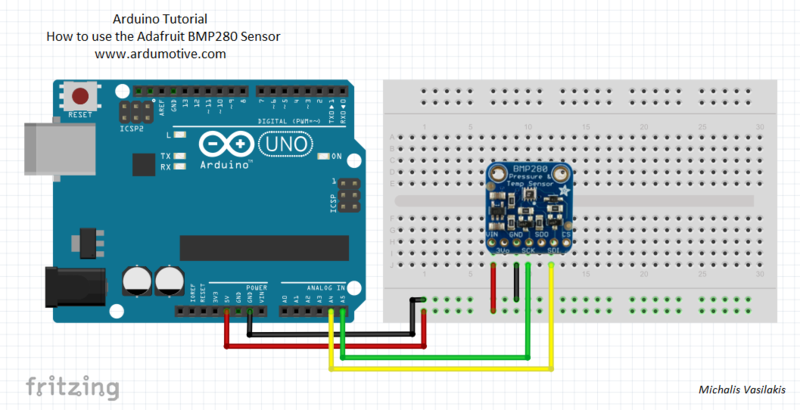 ​In this tutorial we will use the Arduino UNO board with this sensor and the serial monitor of Codebender to print measured values every 5 sec.